This table consists of a solid, well figured three plank ash top with good patina (colour), below the top the painted ash base consists of a deep rail leading down to three splayed legs joined with stretchers, the base painted in a red/brown finish with wonderful worn patina. 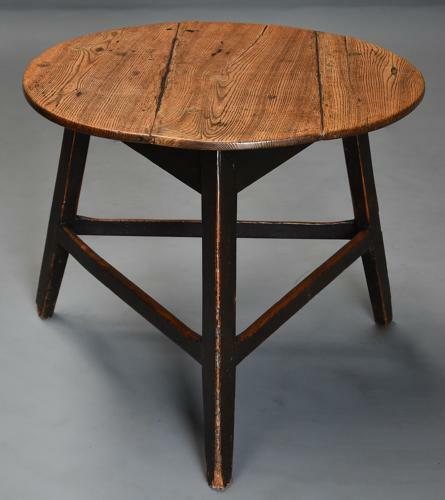 All three legs have a slightly worn appearance to the bottom, probably due to the table standing on a stone or hard floor for many years. This table is in very good original condition, is of stable construction and can go straight into a home.